Cake on a stick? Yep, that's about it. Pretty simple, right? 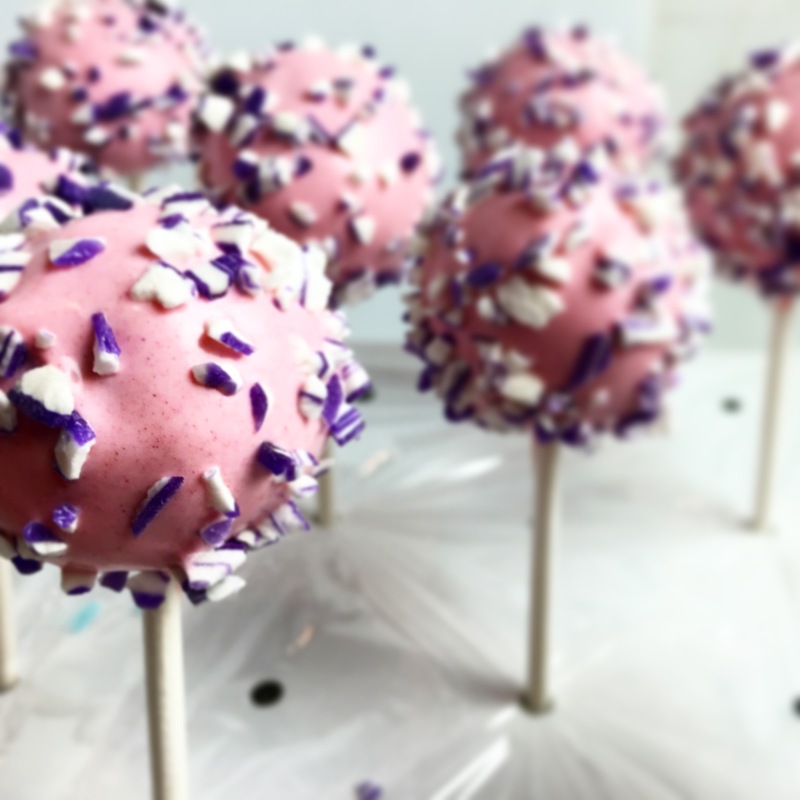 Well, as anyone who has actually attempted to make these treats will tell you, there's a surprising amount of technique involved when making Cake Pops. Cake Pops that fall off the stick? Thick or lumpy coating? Coating that cracks? These are all problems that can be easily avoided with a little advanced planning. Unfortunately, as Cake Pops became trendy treats, the internet exploded with recipes and "tips", most of which are garbage. I'm guessing that they were written by people who have only eaten Cake Pops... or maybe they just took a few photographs. Having recently made way too many Cake Pops myself, I thought it would be useful to summarize what actually works... the practical lessons learned from some real world failures. So whether you're trying your hand at Cake Pops for the first time, or if you're giving it another go after a less-than-stellar maiden voyage, look no further! 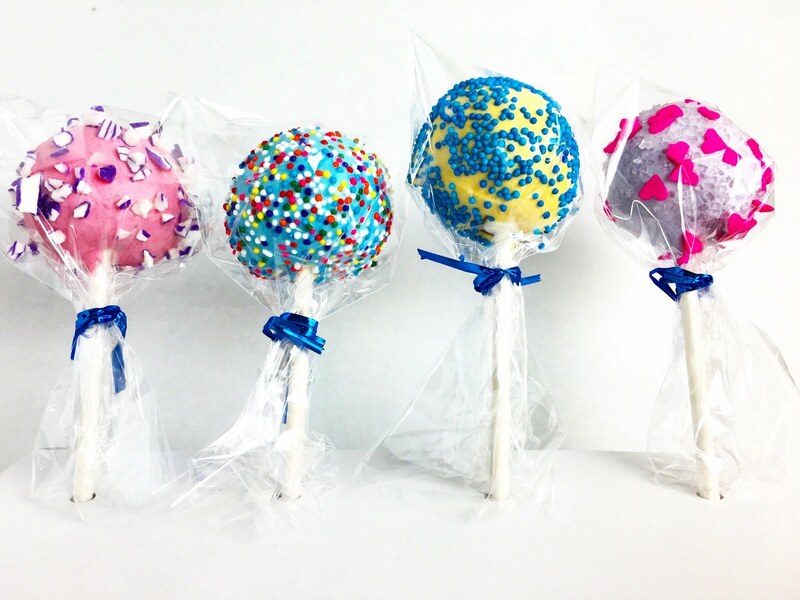 In concept, Cake Pops are extremely simple treats - balls of Cake shoved on a stick and dipped in a Coating. How's that for an appetizing description? But there's a big difference between hastily balled Cake-on-a-Stick and attractive, well-executed Cake Pops. Cake: Cake Pops are a bakery owner's dream because they can be made with mostly scrap ingredients. Leftover scraps of Cake can be frozen and later repurposed for Cake Pops. But the home baker probably doesn't have a critical mass of scrap Cake stored in the freezer. No worries! A freshly baked Cake can also be used to make Cake Pops. And in this case, a cheap, boxed Cake is totally acceptable. 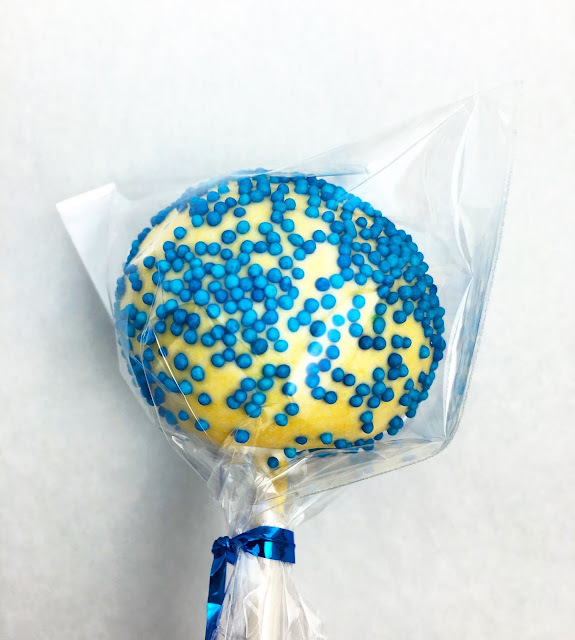 Binding Agent: While the inside of a Cake Pop may seem like nothing more than a rolled up ball of Cake, a Binding Agent is often required to help hold the Cake together. The Binding Agent can be Frosting, melted Chocolate and even Cream Cheese. The trick is to add the right quantity of Binding Agent to make a Cake Pop Dough that has a clay-like consistency. If the Cake Pop Dough is too dry, it will not hold together. If it is too wet, the Cake Pop Dough may be too sticky or fall off the Lollipop Sticks. Coating: Once the Cake Pop Dough is formed into balls and placed on Lollipop Sticks, it is dipped into a Coating. The Coating can be Fondant, Chocolate or Candy Melts (i.e. a confection similar to White Chocolate that is specifically formulated to set into a hard Coating without the challenges of tempering). 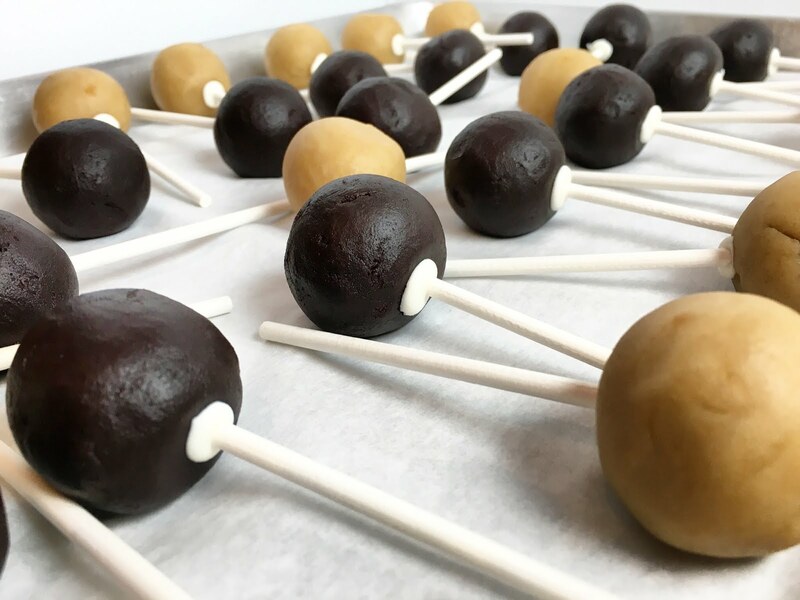 Regardless of what you use, the challenge is getting the Coating to the correct temperature and consistency so that the final Cake Pops are enrobed in a thin but opaque layer that sets hard and dry. Fondant, White Chocolate and white Candy Melts can be dyed, although pre-colored products are best for achieving deep, bold colors. Decorations: Go crazy! Almost anything can be sprinkled onto a Cake Pop for some added flair. But why stop there? Some people have made decorating Cake Pops a virtual culinary art form. If you've got the patience, then power to you! Additional Tools: Before you start, you'll need to have a ready supply of Lollipop Sticks, otherwise you'll just be making Cake Balls (equally delicious). I recommend 4" Lollipop Sticks. And while it's not required, particularly if you will be serving the Cake Pops shortly after they are made, plastic bags and twist ties are recommended for wrapping and storing the individual Cake Pops. Both can be found online at Amazon or in most specialty baking stores. Using scraps of Cake is undeniably the most cost effective route to making inexpensive treats, but a freshly baked Cake is sometimes the only option. One 9" x 13" Cake (i.e. a standard, boxed Cake) weighs about 900g, which is enough Cake to make approximately 36 Cake Pops. Virtually any type of Cake can be used to make Cake Pops - a plain Vanilla Sheet Cake, a rich Devil's Food Cake... even Carrot Cake. Whether you're using scraps or a new Cake, start by trimming away any crispy pieces of Cake (most likely those edge pieces). This will make for a smoother Cake Pop Dough without any lumps. Place the trimmed Cake in a large bowl and break it into Cake Crumbs. I recommend using your hands so that you can break it into very fine pieces. Working with your hands also provides the best sense of the Cake Pop Dough consistency. Knead the Cake Crumbs with your hands, working the Cake Pop Dough until it has a clay-like consistency. Almost all Cakes will require some form of Binding Agent (e.g. Frosting, Melted Chocolate, Cream Cheese, etc.) to achieve the correct consistency. Dry Cakes will require more Binding Agent while very moist Cakes may require none at all. Add the Binding Agent a couple of tablespoons at a time. You do not want to add too much Binding Agent (I've seen recipes calling for upwards of 1 cup of Frosting... yikes!) Too much Binding Agent will make the Cake Pop Dough wet and sticky. Continue kneading the Cake Pop Dough and adding more Binding Agent until the correct consistency is achieved. Additional flavoring can be added to the Cake Pop Dough at this time. Simply knead a teaspoon or two of Flavor Extract (e.g. Mint, Orange, Almond, etc.) into the Cake Pop Dough. You can also enhance the Cake Pop Dough with add-ins such as miniature Chocolate Chips, but any such add-ins should be small in size so that the Cake Pop Dough will hold together. Once the Cake Pop Dough is ready, it's time to portion the individual Cake Pop Balls. Individual servings of 25g (slightly less than 1 oz) make for a perfect bite. Gently roll the Cake Pop Dough between your hands into small, smooth balls and place them on a parchment lined sheet tray. Do not roll the Cake Pop Balls too tightly. Tightly rolled Cake Pop Balls are more likely to crack after they are dipped in Coating. When dipped Cake Pops become warm, the Cake Pop Dough expands, which may crack the Coating. 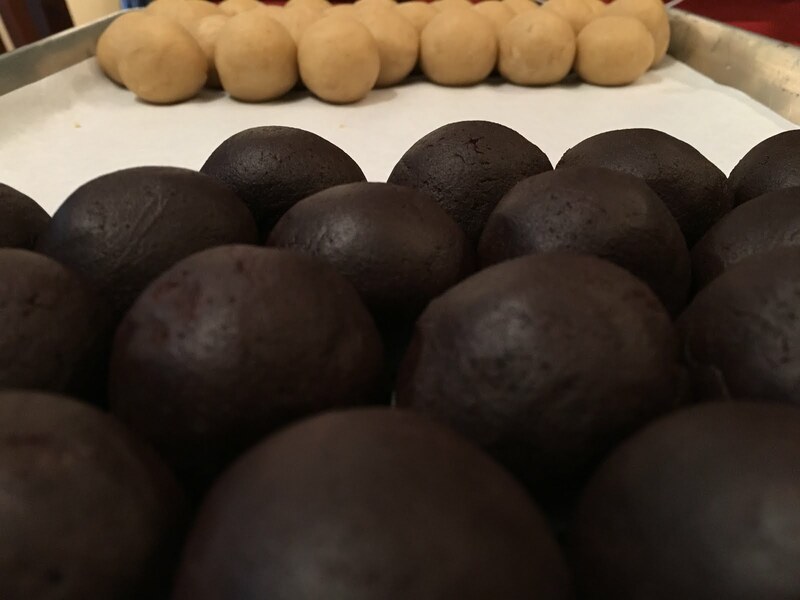 Once the Cake Pop Balls have been formed, wrap the sheet tray in plastic wrap and place the sheet tray in the refrigerator for approximately one hour. The Cake Pop Balls can be stored in the refrigerator for 2-3 days before they are dipped. They can also be frozen at this stage, kept in the freezer for up to one month. Once the Cake Pop Balls have rested and chilled, the Lollipop Sticks can be inserted. If the Cake Pop Balls were frozen, allow them to temper overnight in the refrigerator before attempting this step. Gently melt some Chocolate or Candy Melts over a double boiler (or per the instructions provided with the Candy Melts). Dip a Lollipop Stick approximately 1/2" into the melted Chocolate and then insert it straight into one of the Cake Pop Balls. Insert the Lollipop Stick as far as it will go without popping through the other side of the Cake Pop Ball. As the Chocolate or Candy Melts sets, they will help secure the Lollipop Stick inside of the Cake Pop Ball. Make sure that your Chocolate is well-tempered or heat the Candy Melts according to the manufacturers' instructions. Whatever type of Coating you are using, always melt the Coating gently and never let it get too hot (i.e. hotter than 100-110 degrees Fahrenheit maximum). Over-heated Coating may come out of temper, become lumpy or seize. Use low heat and a double boiler for the best results. Also, keep the Coating away from water. Water will also cause the Coating to seize (fondant being an exception, as it is not a fat-based product). 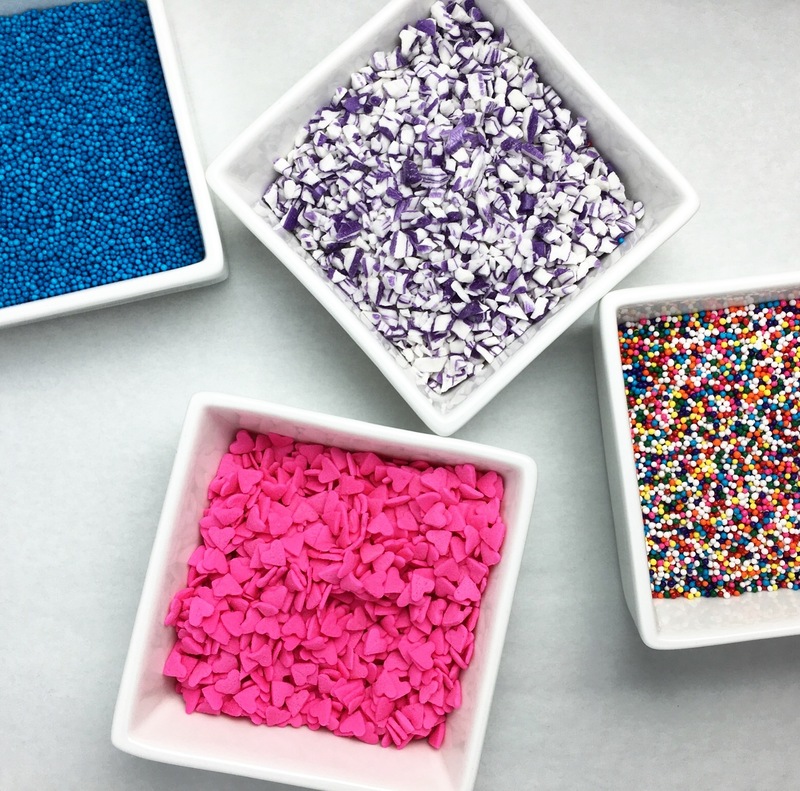 Sprinkles and other decorations will not stick to the Cake Pops once the Coating has set. Before you start dipping the Cake Pops, have your decorations ready. You will also need a place to put each Cake Pop as the Coating sets. Special stands are available online, but you can easily fabricate a stand by punching holes in a piece of cardboard. When it comes to actually dipping the Cake Pops, work in a deep pot or bowl so that you can easily submerge the Cake Pop in the Coating. It is extremely frustrating to work from a shallow bowl or with too little Coating. Do not dip cold Cake Pops. Remove the Cake Pops from the refrigerator to temper for at least 30 minutes before dipping. The Cake Pops will expand as they warm. If the Cake Pops are dipped cold, they will crack the Coating as they expand. Do not worry about the tempered Cake Pops falling off of the Lollipop Sticks. If the Cake Pop Dough was made to the appropriate consistency, and if the Cake Pop Balls were attached to the Lollipop Sticks using some Chocolate or Candy Melts, then they should be secure. As the Cake Pops temper, some condensation may form on the surface (particularly if the Cake Pops had been frozen). Lightly dab away any excessive condensation before dipping. Dip the Cake Pops directly into the warm Coating. If your container is too shallow, slightly tilt the Cake Pop forward and backward, and then left to right, so that it is completely enrobed in the Coating. Gently tap (do not shake) the dipped Cake Pop against the surface of the Coating to remove any excess. Do not dip the Cake Pops more than once (even if you missed a spot). The Coating should be a thin, but opaque, layer. Dipping the Cake Pops more than once will result in an unappetizingly thick outer layer. Immediately add any decorations that need to stick to the Cake Pop, such as Sprinkles. You have a small window of time before the Coating sets hard. Place the dipped and decorated Cake Pops on a stand where the Coating can set. If the Coating was melted correctly (i.e. not over-heated or taken out of temper), it should set hard at room temperature within a matter of minutes. 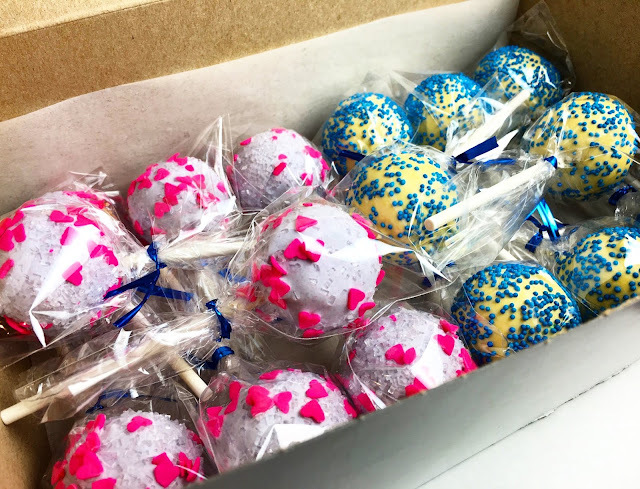 Cake Pops that remain sticky, potentially from temperature abuse, can be placed in the refrigerator to help set the Coating; however, these Cake Pops may become sticky again in warmer or humid environments. Once the Coating on the Cake Pops has set, the individual Cake Pops can be placed in plastic wrappers and sealed with twist ties. This is the best way to store individual Cake Pops. The dipped and wrapped Cake Pops can be kept in the refrigerator for up to a week. Freezing the dipped Cake Pops is not recommended. 1. Prepare the Cake and let it fully cool. If using scraps of Cake that have been frozen, allow the scraps to temper. Trim away any dry or crispy pieces of Cake. 2. Using your hands, break the trimmed Cake up into fine crumbs. Knead the Cake Crumbs into a Cake Pop Dough with a clay-like consistency. If the Cake Pop Dough is too dry or crumbly, add some Binding Agent (Frosting, Melted Chocolate, Cream Cheese, etc.) a couple of tablespoons at a time until the correct consistency is achieved. Chef's Note: Do not add too much Binding Agent as this will make the Cake Pop Dough too wet and sticky. 3. Portion the Cake Pop Dough into 25g (~1 oz) pieces and gently roll each portion into a smooth, round sphere. Place the Cake Pop Balls on a parchment lined sheet tray and place the sheet tray, wrapped in plastic, in the refrigerator for approximately one hour for the Cake Pop Balls to rest and chill. 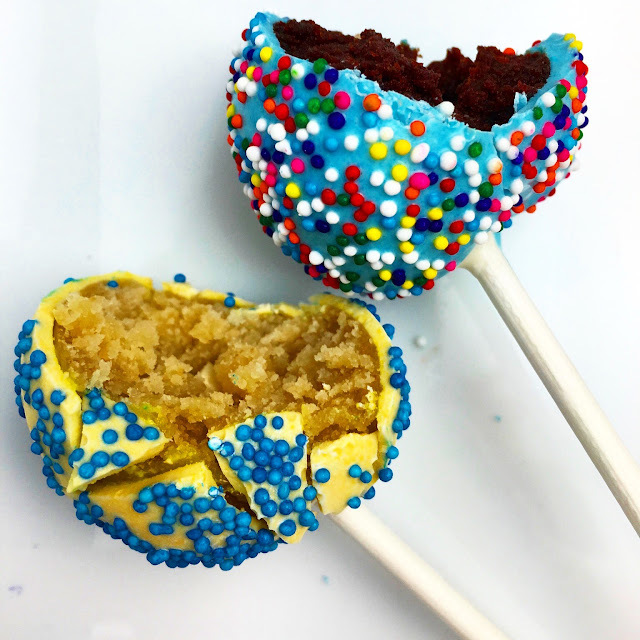 Chef's Note: Do not roll the Cake Pop Balls too tightly as this can result in cracked Cake Pops after they are coated. 4. Once the Cake Pop Balls have rested and chilled, remove the sheet tray from the refrigerator. Gently melt some Chocolate or Candy Melts over a double boiler. Dip a Lollipop Stick approximately 1/2" into the melted Chocolate or Candy Melts and then insert it straight into one of the Cake Pop Balls. Insert the Lollipop Stick as far as it will go without popping through the other side of the Cake Pop Ball. 5. Gently melt the remaining Chocolate or Candy Melts over a double boiler for dipping. Working one at a time, dip the Cake Pops directly into the warm Coating. If your container is too shallow, slightly tilt the Cake Pop forward and backward, and then left to right, so that it is completely enrobed in the Coating. 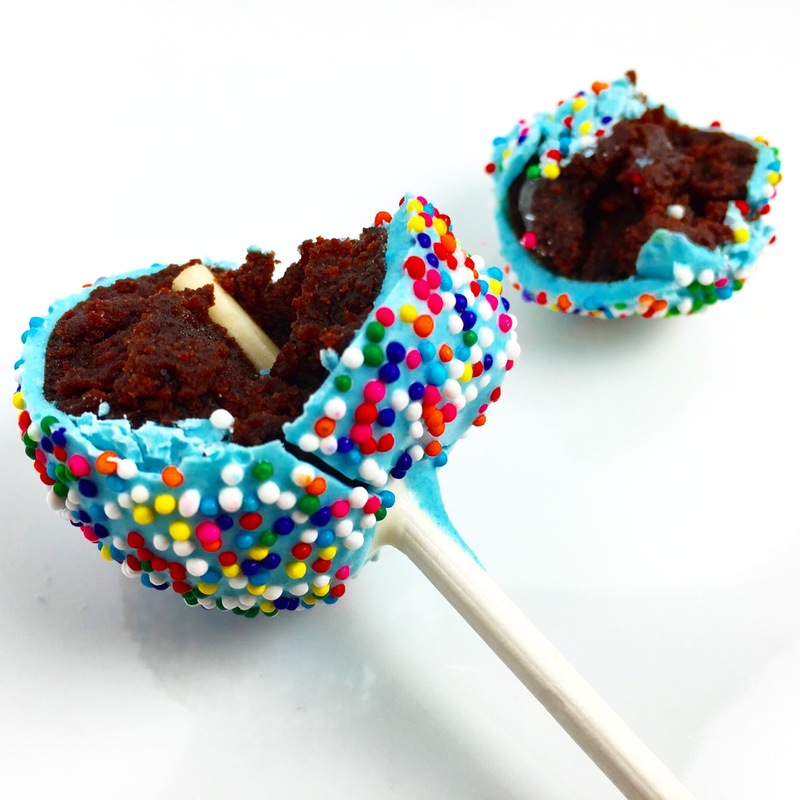 Gently tap (do not shake) the dipped Cake Pop against the surface of the Coating to remove any excess. Chef's Note: Gently heat the Coating and never let the temperature exceed 100-110 degrees Fahrenheit. Over-heated Coating may come out of temper, become lumpy or seize. 6. Immediately decorate the dipped Cake Pops with any items that need to stick to the outside Coating while the Coating is still wet. Place the dipped and decorated Cake Pops in a stand to let the Coating set hard. 7. Once the Coating has set, wrap the individual Cake Pops in plastic bags sealed with twist ties. - The undipped Cake Pop Balls can the refrigerated for 2-3 days before dipping or frozen for up to a month. - The dipped and wrapped Cake Pops can be kept in the refrigerator for up to a week. Freezing the dipped Cake Pops is not recommended. Hi Mark! Been following you on IG for a while and finally visited here to try this recipe out at work. I make baked goods for the coffee shops on campus at a local university. Now, I have no formal education in baking, confections, or even cooking. With that said, I'm running into an issue when dipping my cake pops, perhaps you can advise? I chose to use melted white chocolate chips. I made sure the temperature was not above 110*, but even that warm, the melted mass is very thick, and my cake pops keep getting sucked into it, falling off the stick (despite being otherwise pretty well secured by the dipped tips). What am I doing wrong here?! There are a few things that could be going on. First, are you using White Chocolate Chips as in the kind you might use to bake into cookies? Chocolate Chips for cookies are really intended for baking only, and not for melting for nice finish candies and chocolate work. Ideally you should use a chocolate that is intended for such uses... a type known as Couverture which has a higher percentage of cocoa butter. The greater amount of cocoa butter helps in the tempering process, giving you a nice, smooth and liquid product when it is gently warmed that ultimately sets into a smooth, shiny, hard coating. For dark chocolate, I always use Valrhona. With cake pops, I did well with Guittard white chocolate. Both will stay super smooth and liquid as cool as 86*. Also, make sure that nothing is contaminating the chocolate that would cause it to seize.... and by this, I'm primarily referring to water. Water (even condensation from the steam in the double boiler) can destroy your dipping chocolate. Also, if you are coloring the chocolate and using a watery food coloring, that can be problematic as well. More concentrated food gels will work better. And cocoa butter color, a fat-based coloring, is really the best option. If you solve the problem of the consistency of the dipping chocolate, I'm sure it will solve the problem of the pops falling off the sticks.